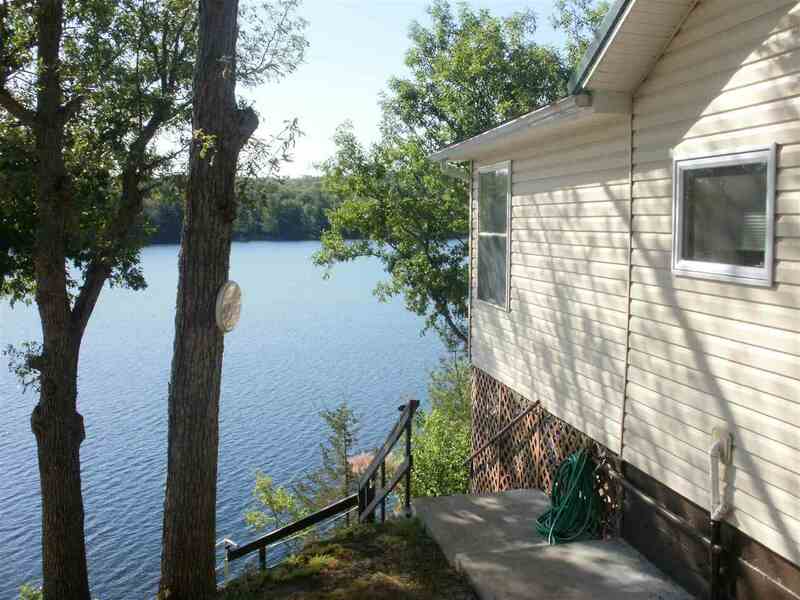 Pleasant Lake Waterfront Cottage! 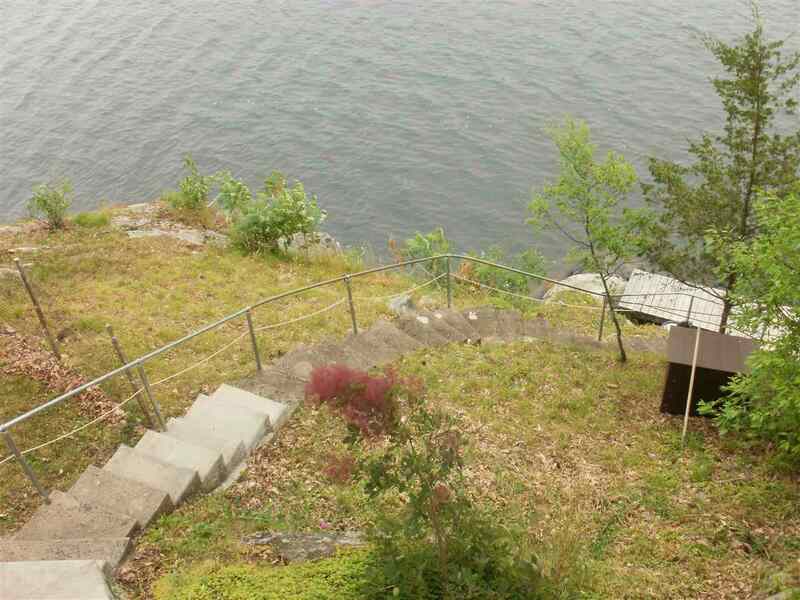 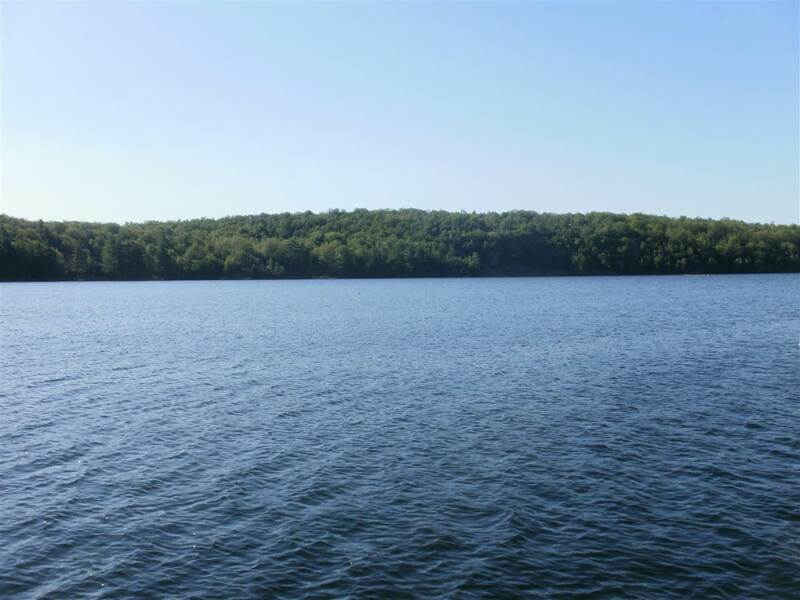 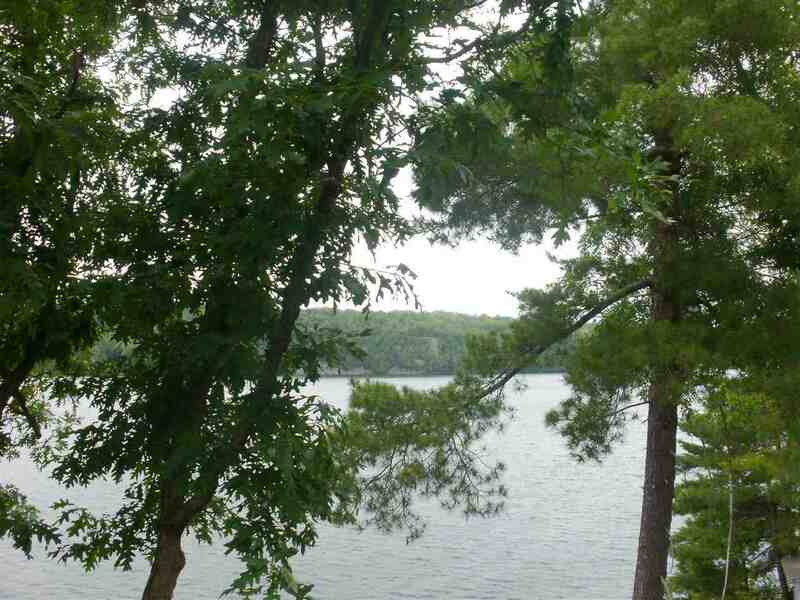 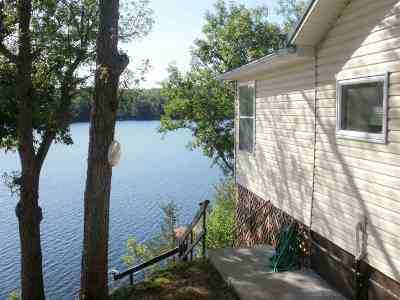 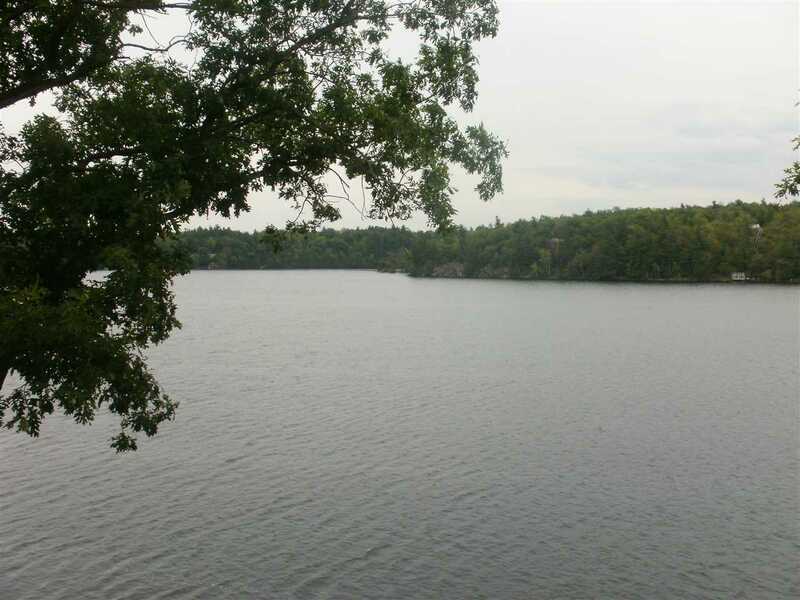 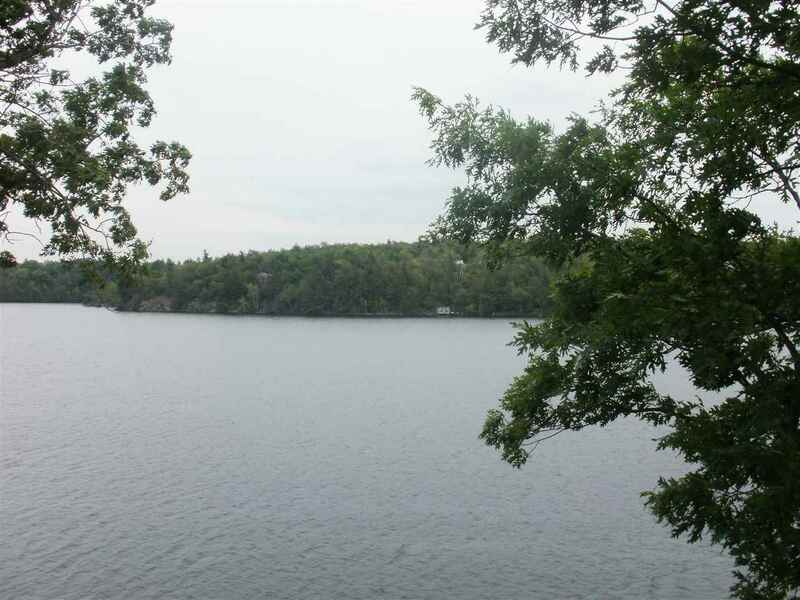 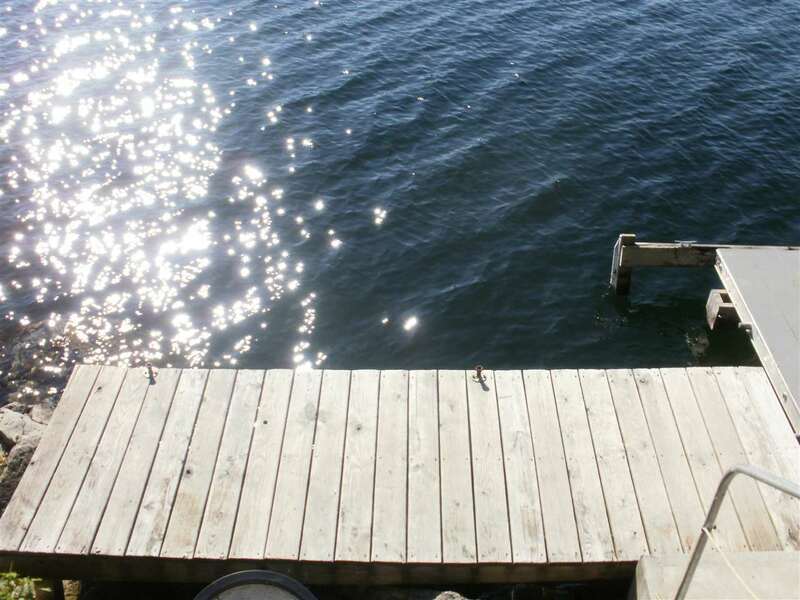 Swimming, boating, fishing, scenic views all await the new owner of this Pleasant Lake 3 season cottage. 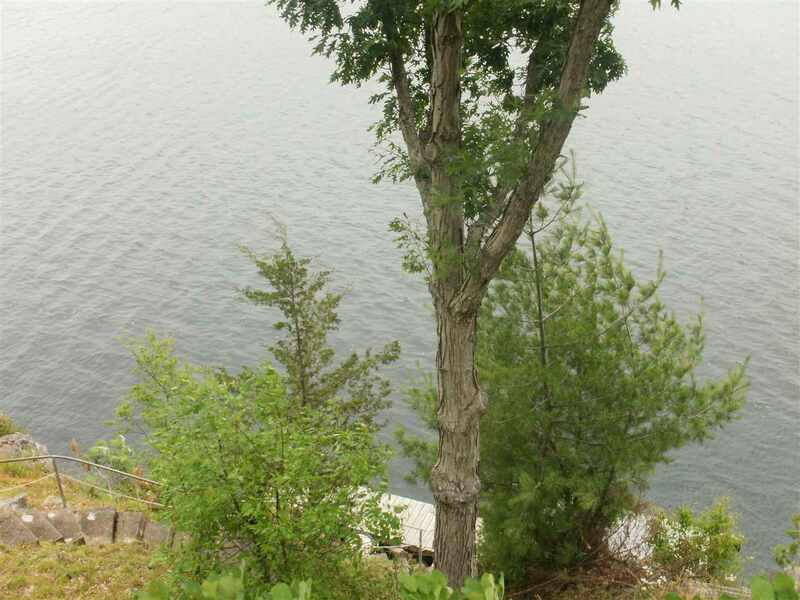 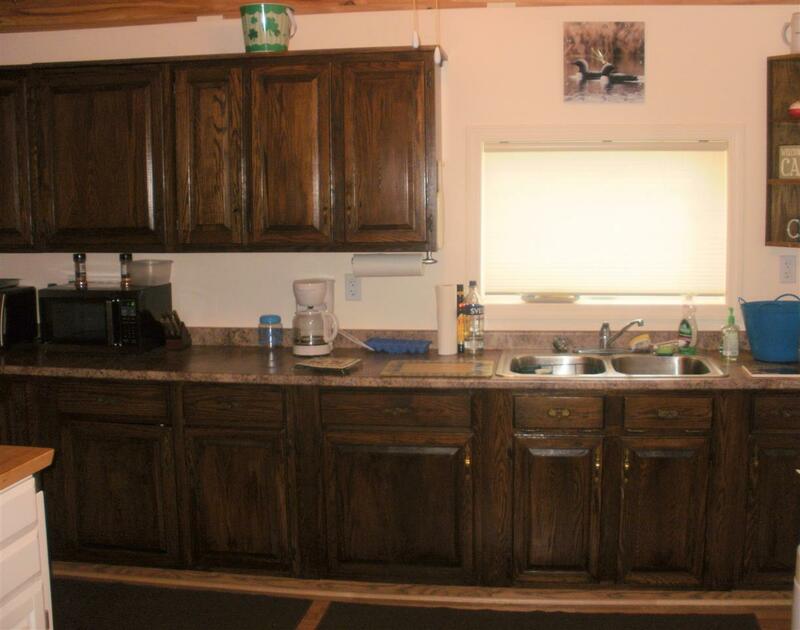 Step into this well maintained cottage and enjoy the natural light, the open floor plan, the large galley kitchen with oak cabinets, and the view of the lake from the living/dining room. 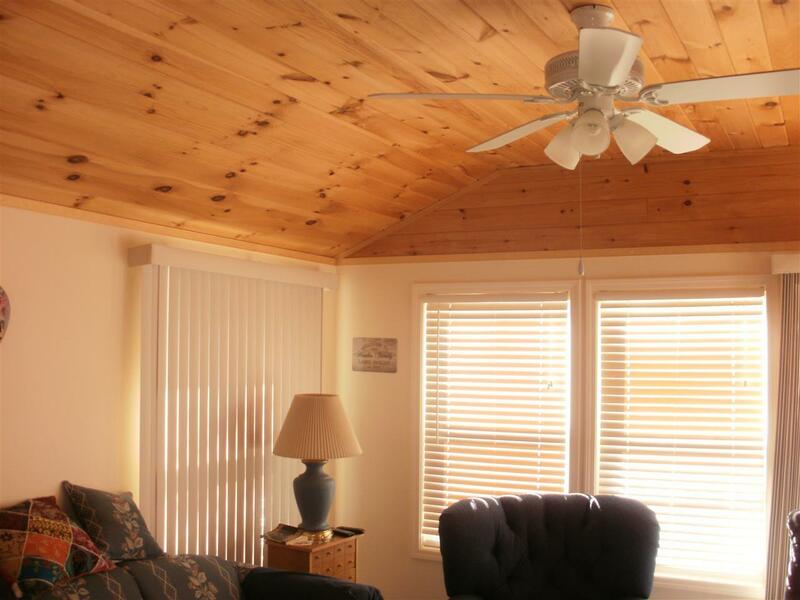 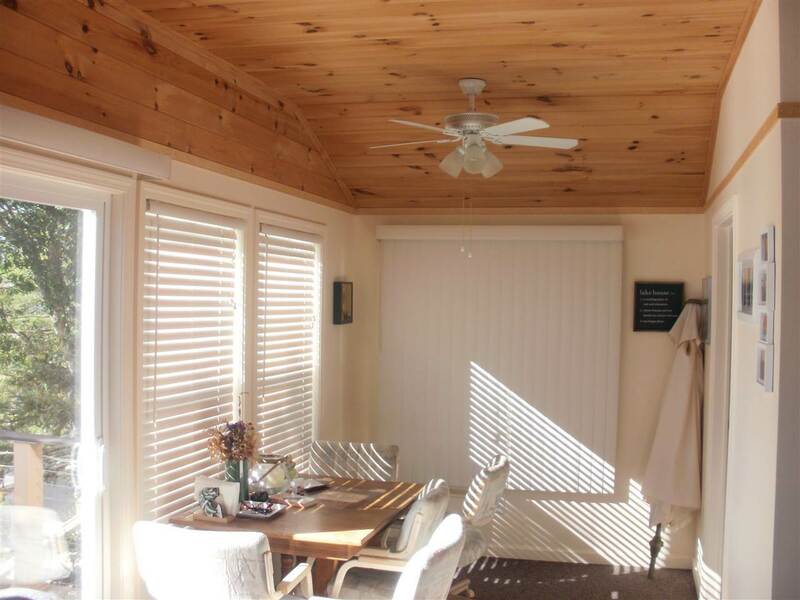 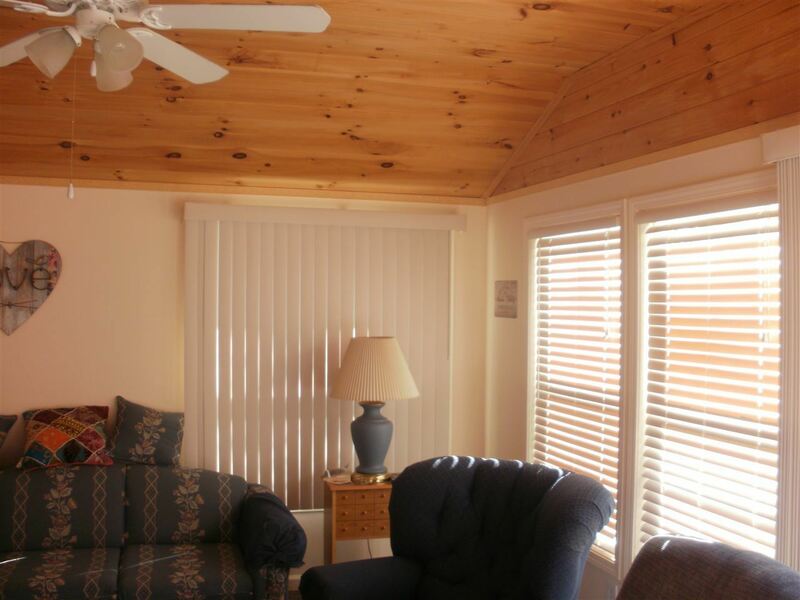 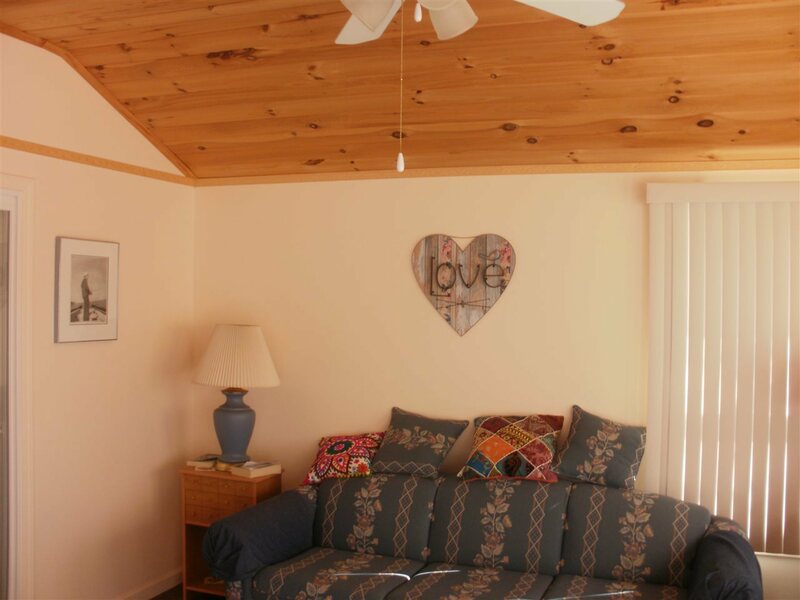 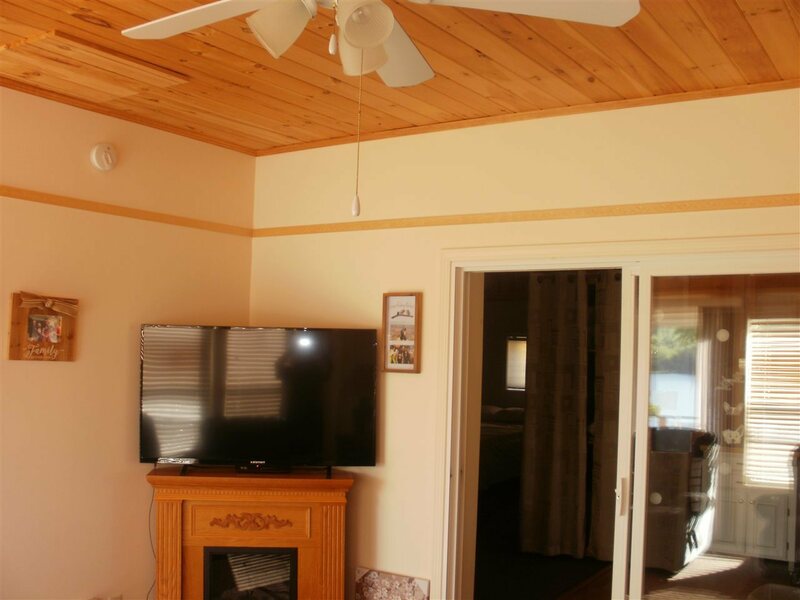 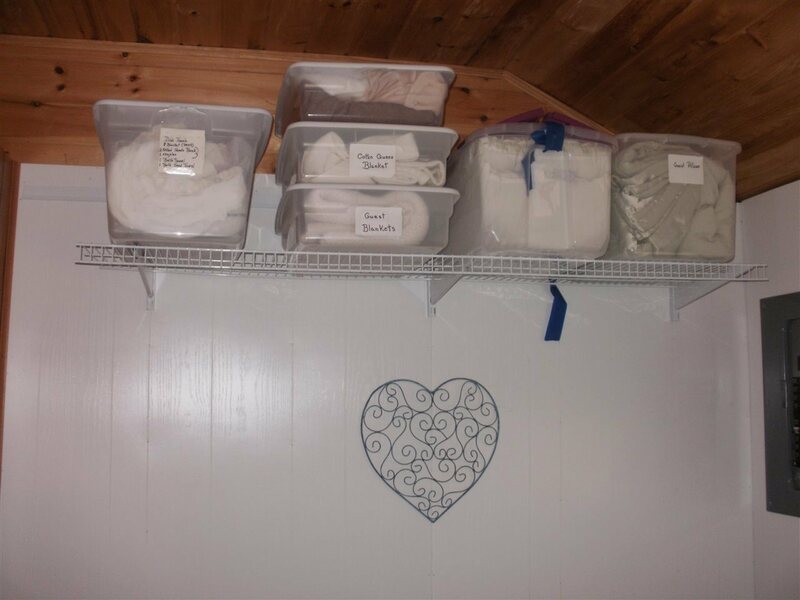 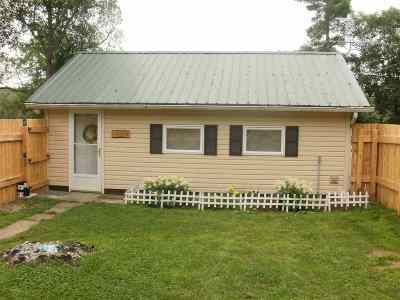 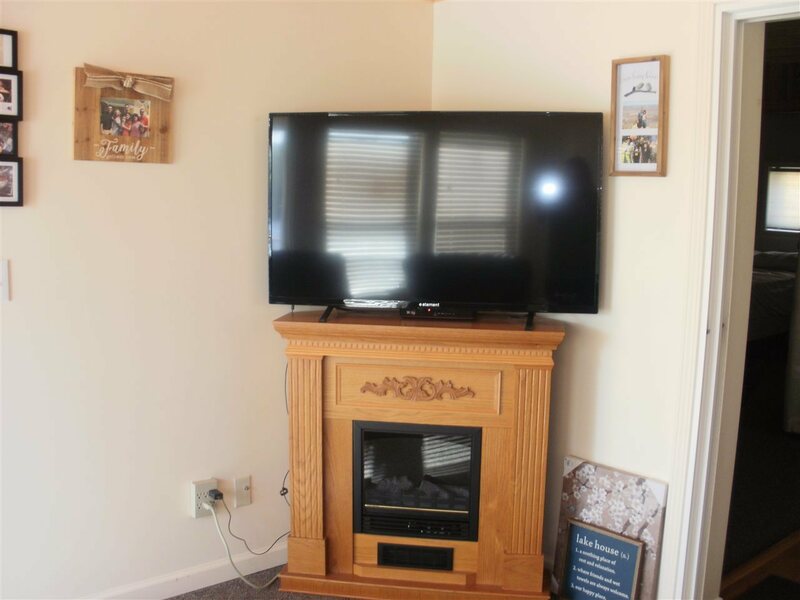 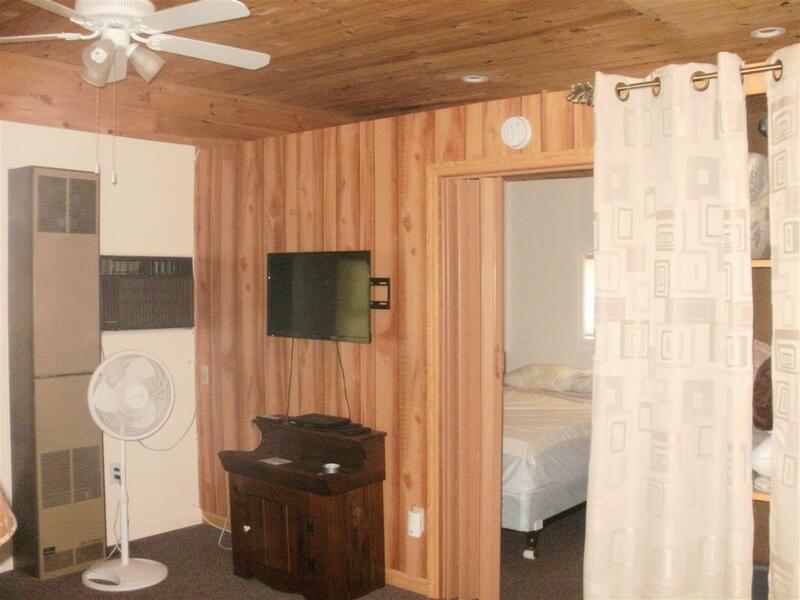 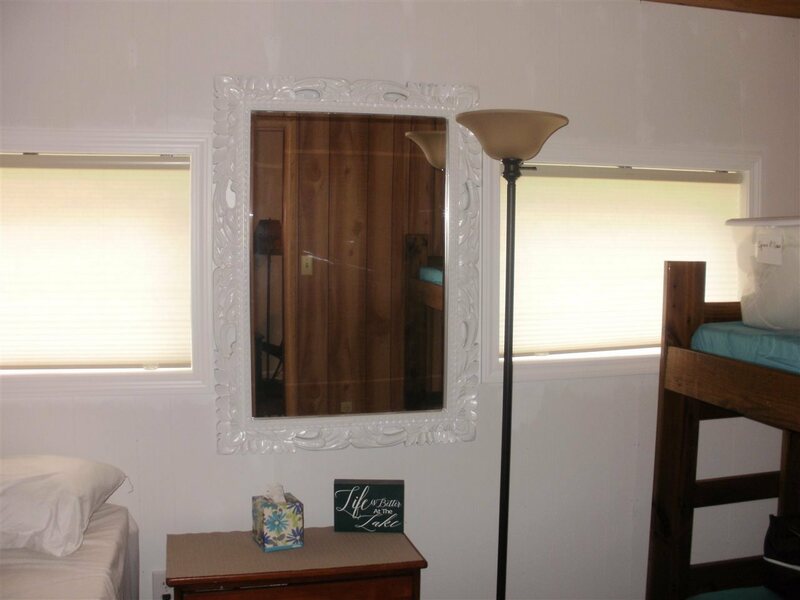 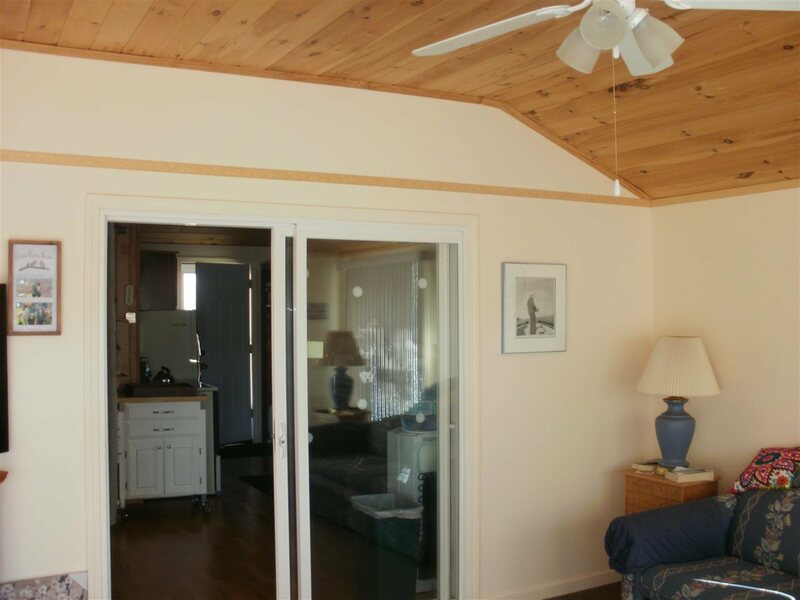 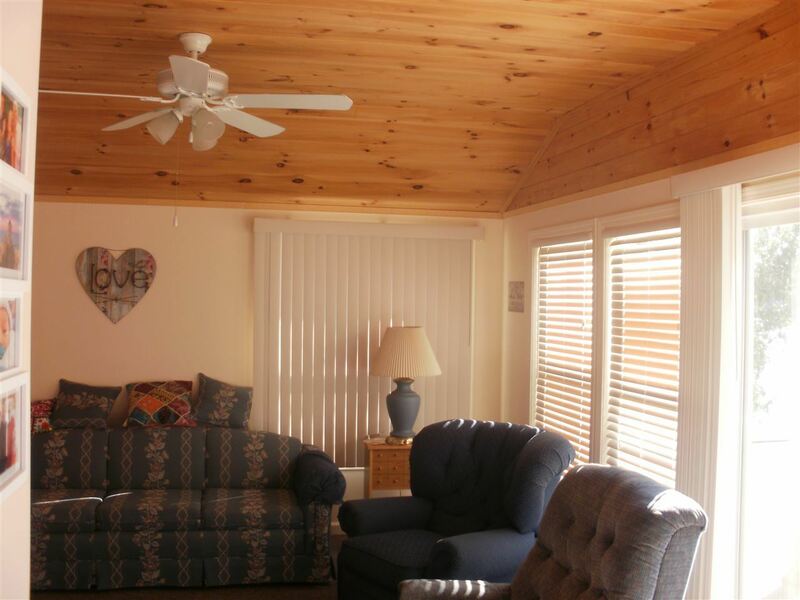 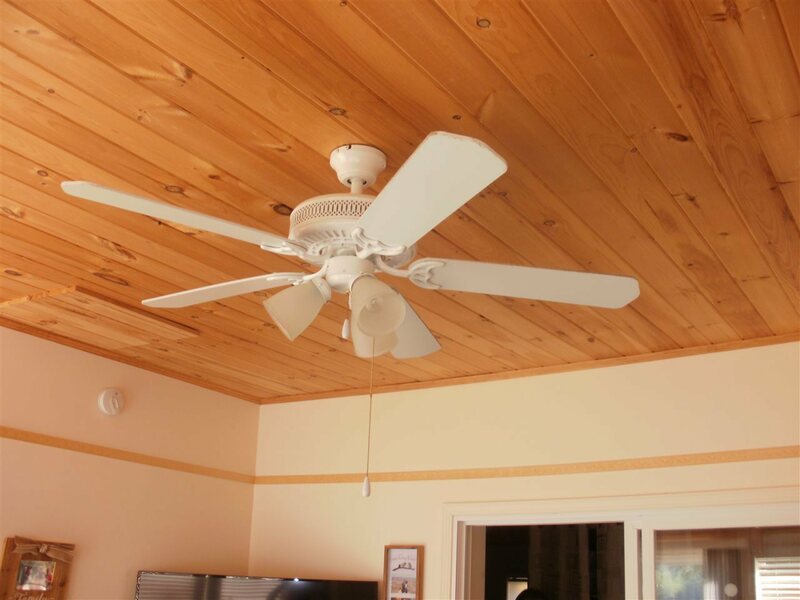 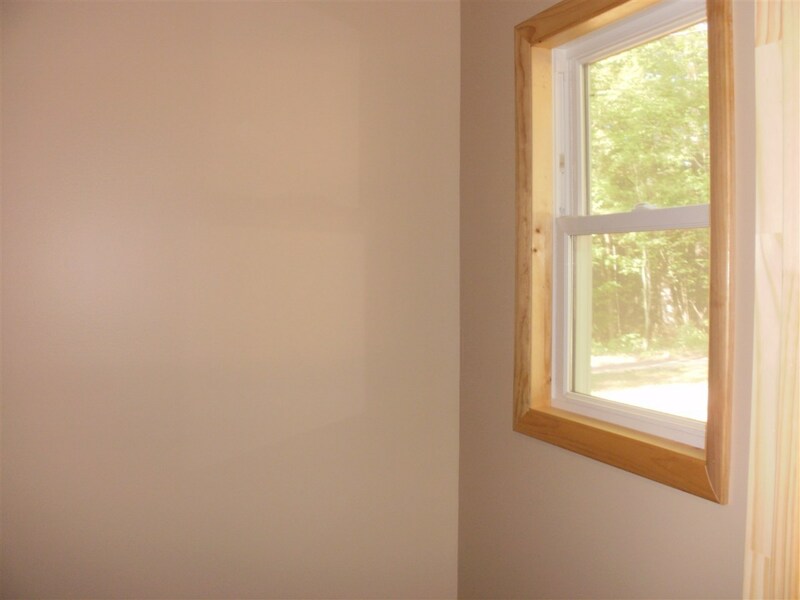 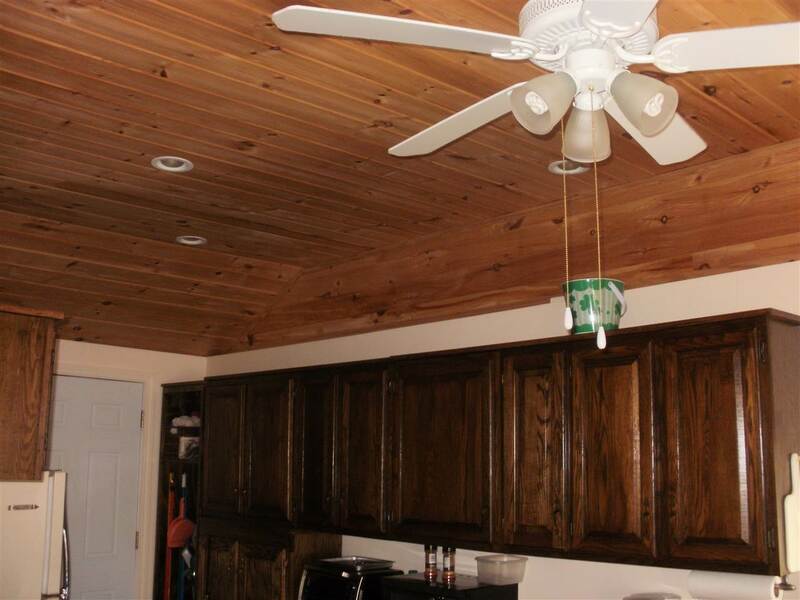 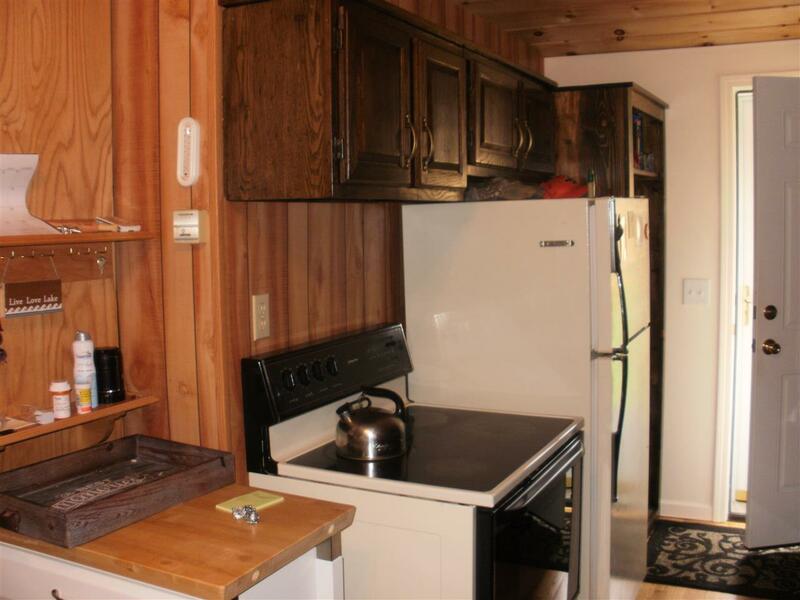 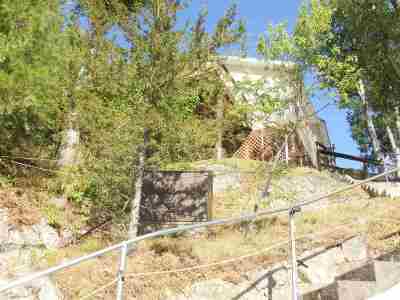 The 816 sq ft cottage has all new wiring, new windows, knotty pine ceilings, oak laminate floors, one large bedroom could be partitioned into 2 bedrooms, a bonus room could be used for many purposes. 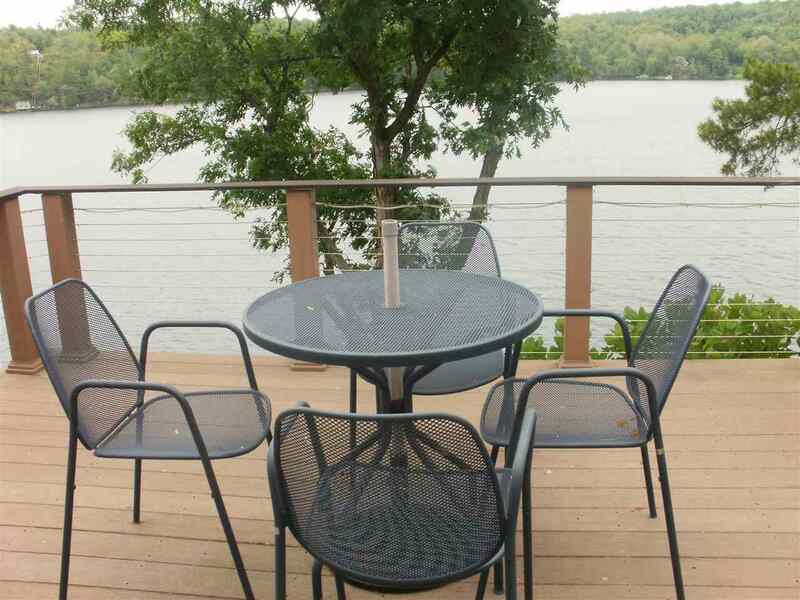 The sliding doors in the living room open to a 12&apos; x 14 Timbertech deck with Brazilian walnut railing with a lovely view of the lake. 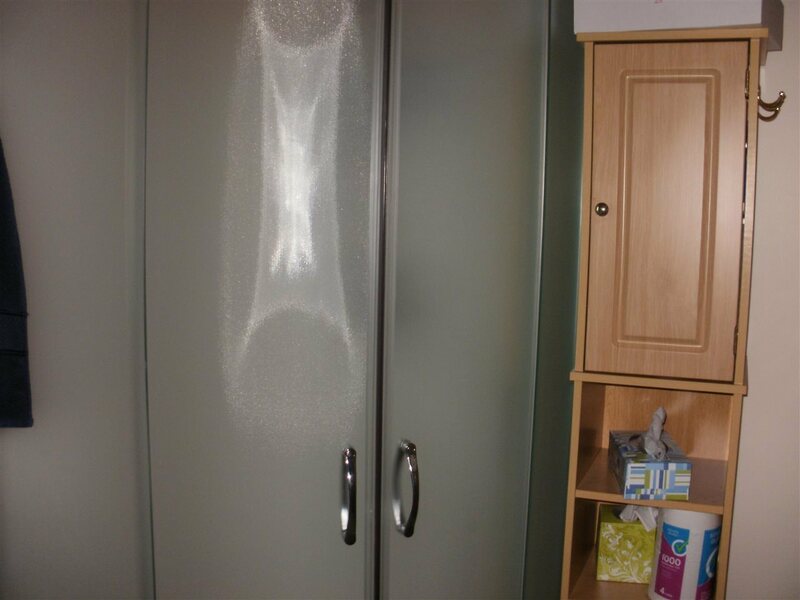 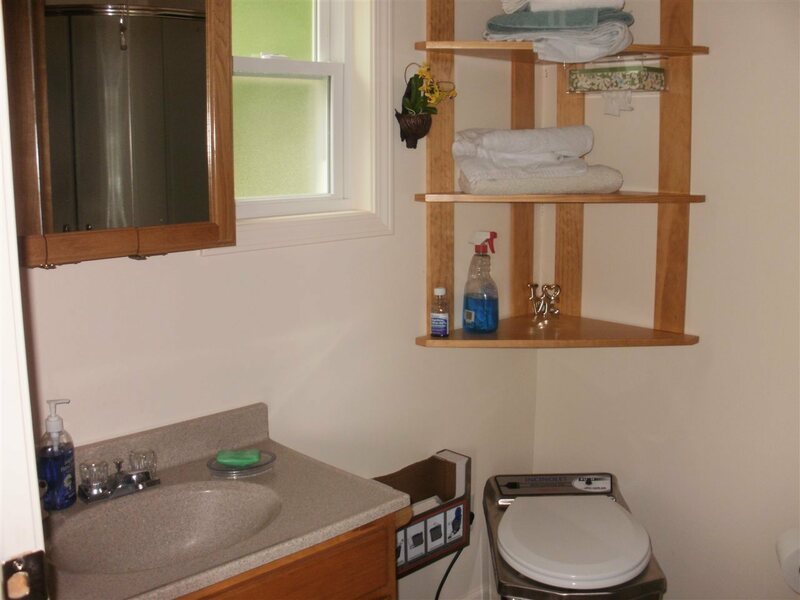 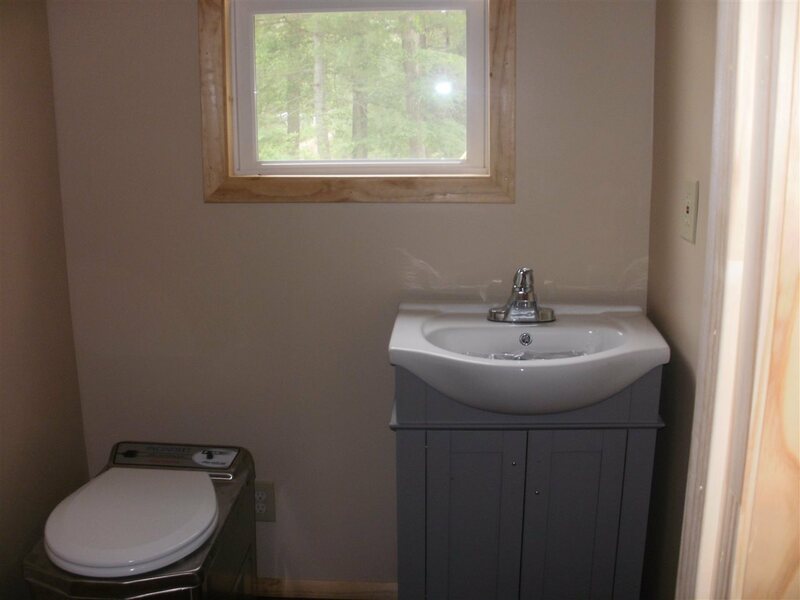 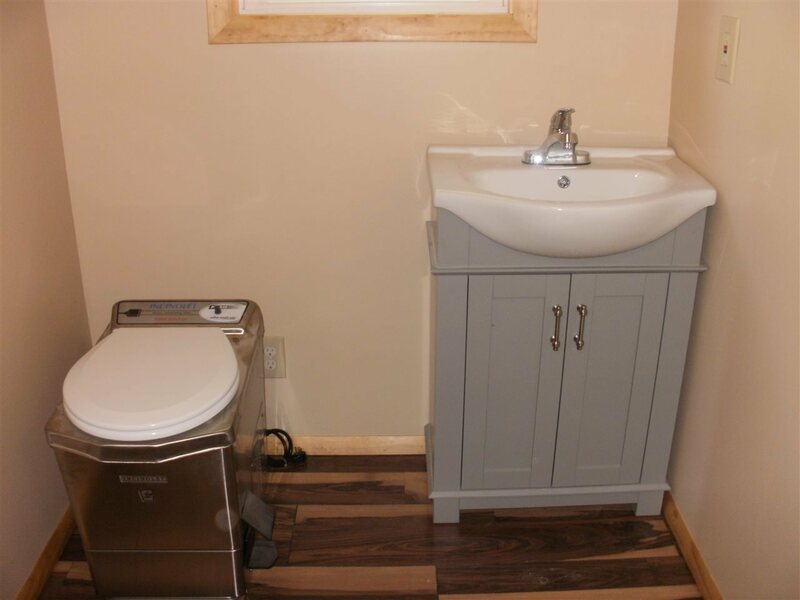 A bathroom with a curved door shower, sink and incinerator toilet is bright & clean. 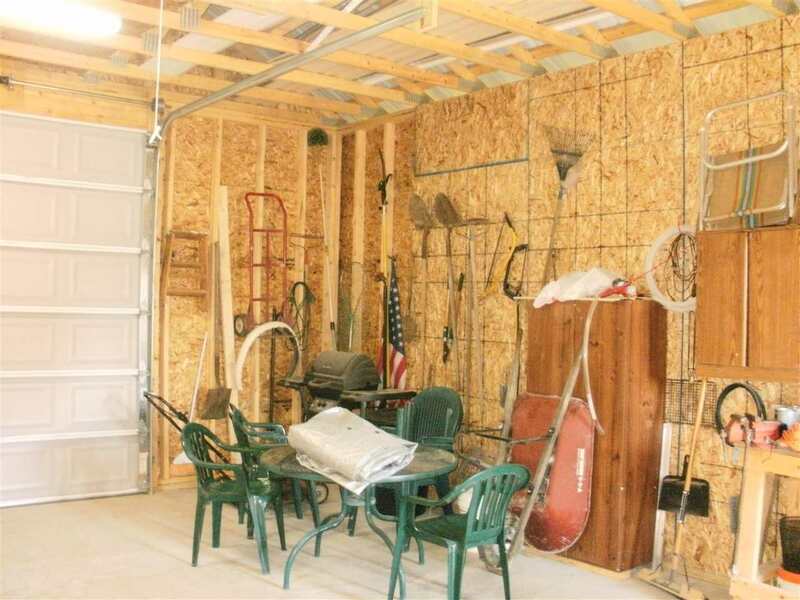 A cedar fence was installed to create a play area for the grandchildren. 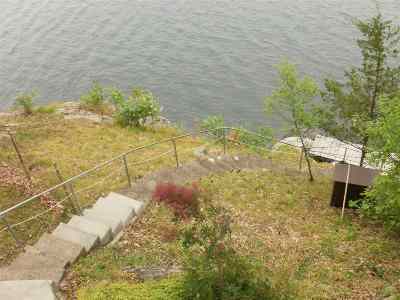 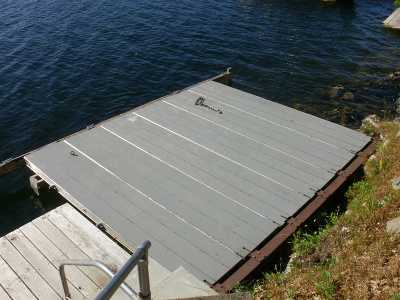 A patio area and steps with a sturdy handrail and rope lighting leads to the 10 x 12 wood/aluminum dock which is designed with hinges to lift it for winter. 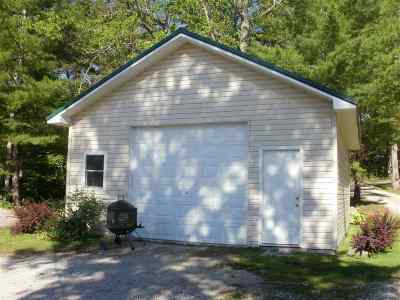 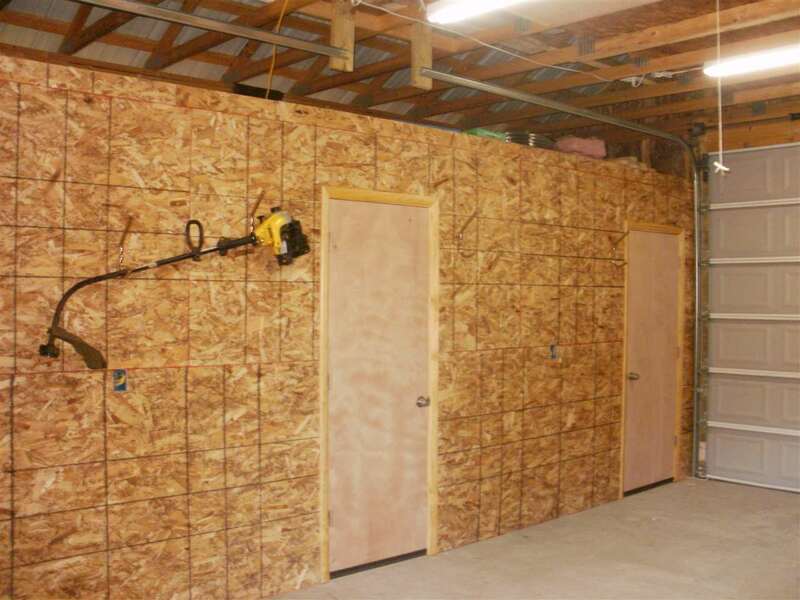 A 22 x 24 garage has two 10 x 12 overhead doors for drive through access. 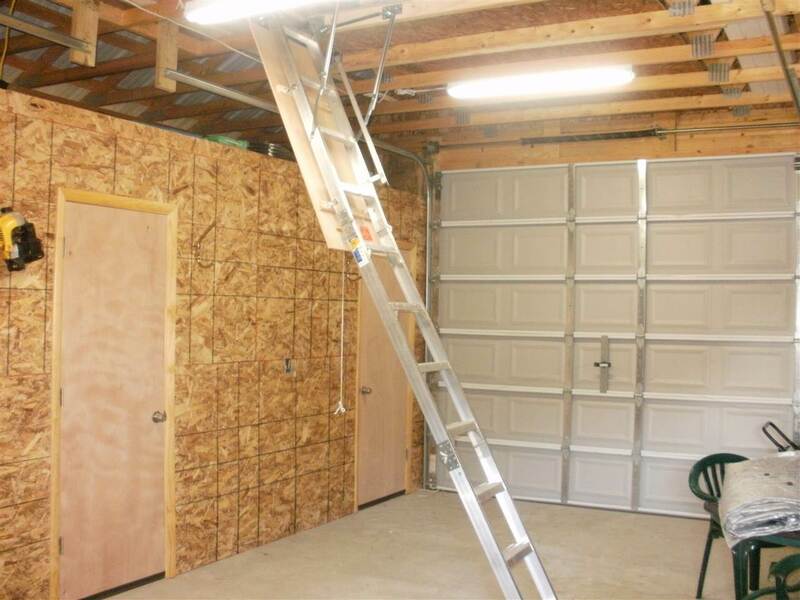 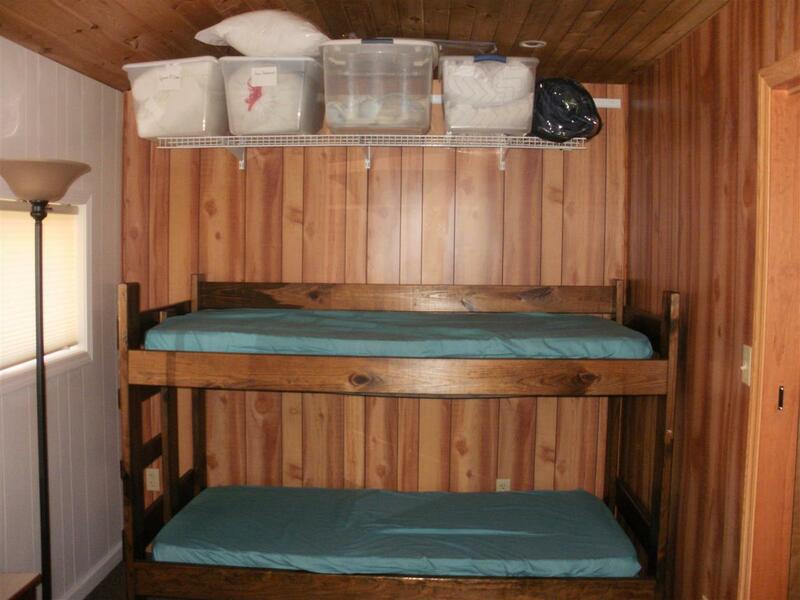 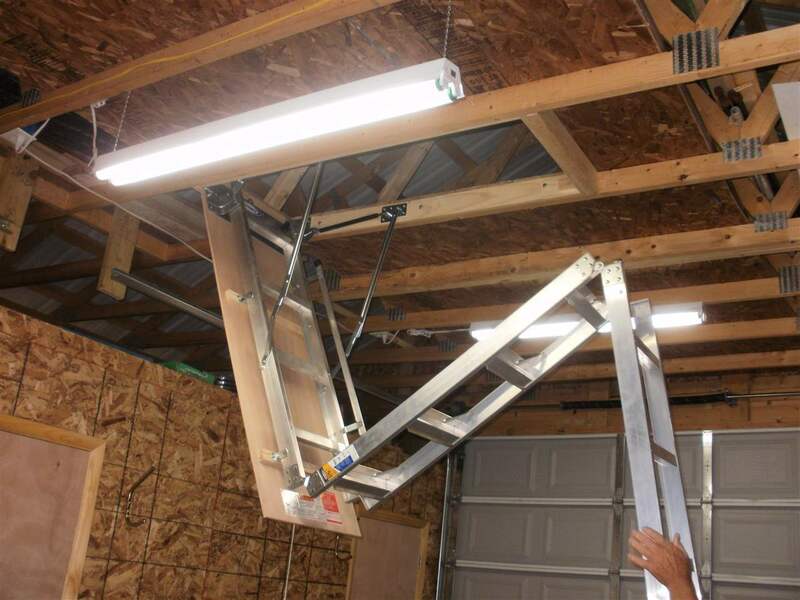 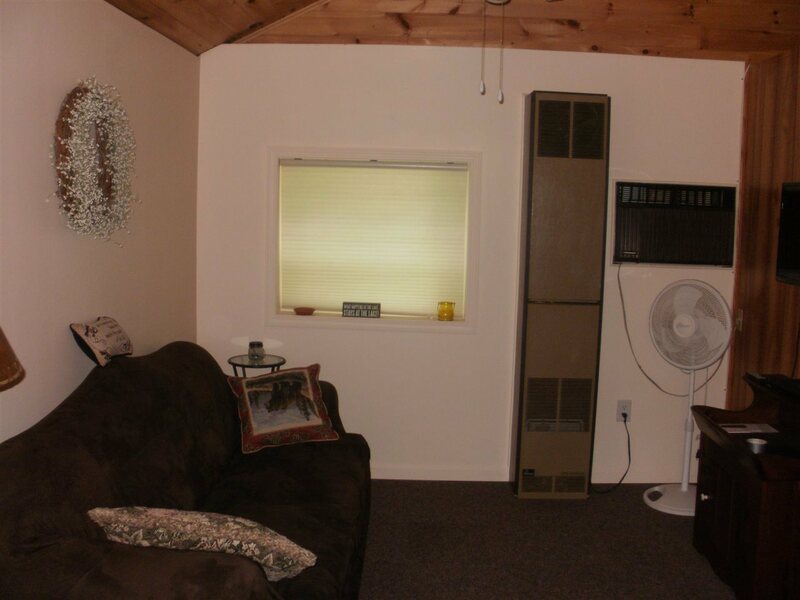 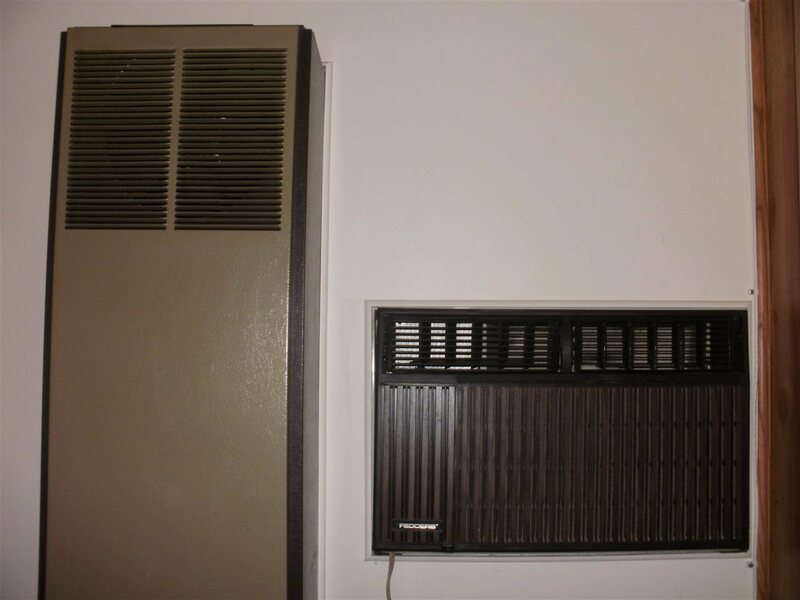 Two bonus rooms have been added in the garage as well as a 1/2 bath with an incinerator toilet, which still leaves 16&apos; x 24&apos; for garage parking. 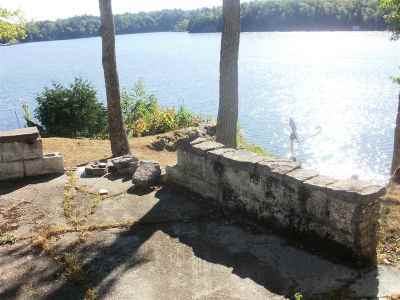 Lake water is used for showering & dish washing with a water cooler for drinking water. 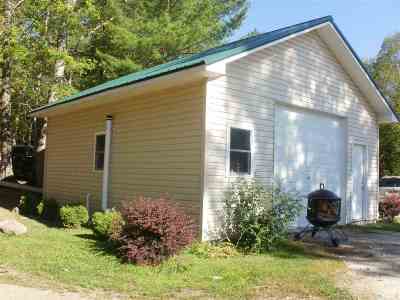 All this and being offered furnished makes this a must see - call today. 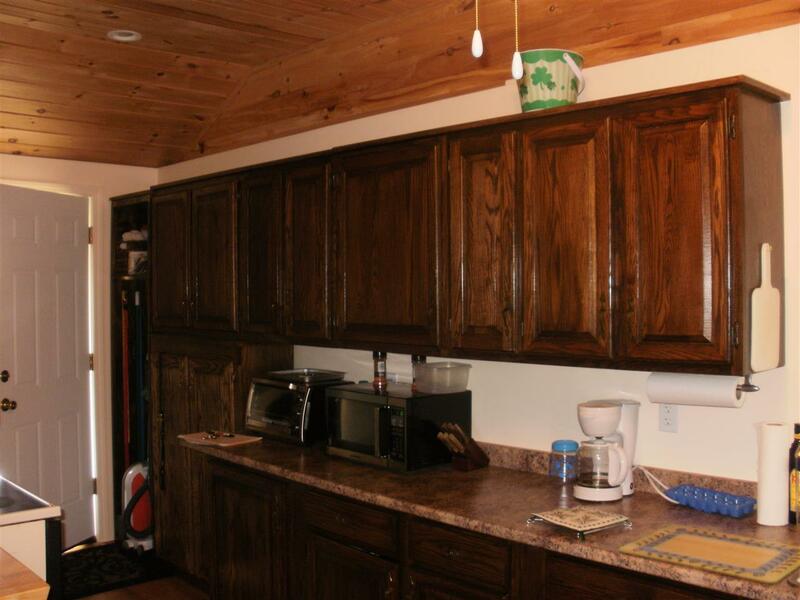 Dining Room: 7&apos;3" X 8&apos;10"
Extra Room: 9&apos;9" X 12&apos;4"
Living Room: 13&apos;8" X 14&apos;4"